Now available because of popular demand. 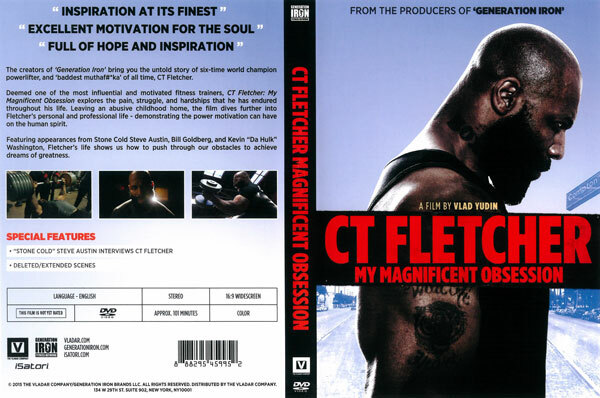 CT Fletcher: My Magnificent Obsession is now available on DVD! You can own a physical copy of the motivational film that fans are calling, “Inspiration at it’s finest!” Also jam packed with a selection of deleted scenes that never made it into the movie alongside a full interview with CT Fletcher himself! CT FLETCHER: MY MAGNIFICENT OBSESSION. This DVD is also jam packed with a selection of deleted scenes that never made it into the movie alongside a full interview with CT Fletcher himself! The creators of Generation Iron bring you the untold story of six-time world champion power lifter, and baddest muthaf#*ka’ of all time, CT Fletcher. 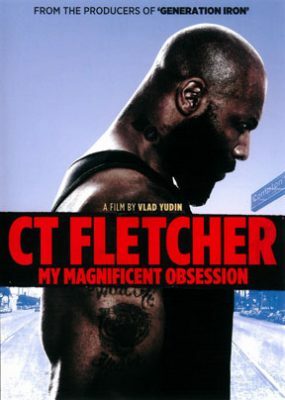 Deemed one of the most influential and motivated fitness trainers, CT Fletcher: My Magnificent Obsession explores the pain, struggle, and hardships that he has endured throughout his life. Leaving an abusive childhood home, the film dives further into Fletcher’s personal and professional life – demonstrating the power motivation can have on the human spirit. Featuring appearances from Stone Cold Steve Austin, Bill Goldberg, and Kevin “Da Hulk” Washington, Fletcher’s life shows us how to push through our obstacles to achieve dreams of greatness.